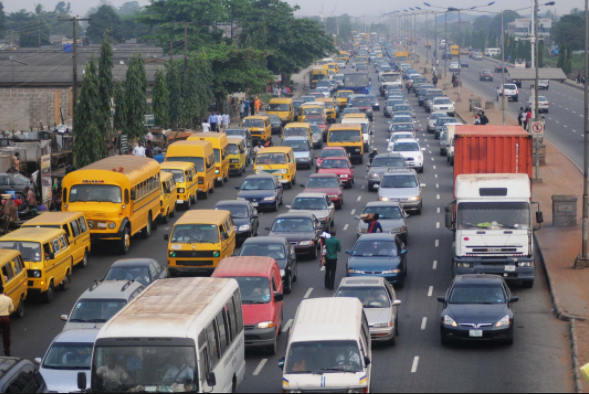 EDITORIAL: That Lagos Roads Might Be Whole Again – Folakunle Adeagbo - e-NIGERIA! It’s that time of the year when people take stock of what went right and what went wrong or was left undone. As a Lagosian and a commuter who has traversed the length and breadth of this boisterous city and clocked so many miles on the roads this year, I think that I am competent to speak on how our roads can become whole again with a view to making life fruitful for all Lagosians in 2018. Every progressive society depends heavily on efficient roads. It is against this backdrop that the current efforts of Governor Akinwunmi Ambode must be commended. The pedestrian bridges, flyovers, slip roads and lay-bys, paved area beside main roads, where cars and buses stop temporarily to let others pass, which now dot numerous major roads in Lagos have been a huge blessing in that they have eased vehicular and pedestrian movements especially at peak periods. In order to consolidate on these gains and make our roads whole again, these three things need to happen. Firstly, the state government needs to aggressively drive the water transportation system as a viable alternative means of conveyance via a public-private partnership model. How do we rationalize the fact that 30% of this state is covered by water and only 0.34% of over 22 million people living here utilize this mode of transport? So clearly, there is need to ramp up efforts in this area. Secondly, Lagosians must commit to being disciplined and law-abiding. This is because a lot of the traffic congestions which we experience daily and have resulted in unpredictable travel times, excessive loss of energy, and loss of precious man-hours can be tied down to one thing – indiscipline by road users. This is a non-negotiable deal breaker if we are going to reclaim sanity on Lagos roads. Thirdly and very critically, because our roads do not pay for themselves, the government must find innovative approaches to financing the roads and other transport systems. For example, some have argued that the current motor vehicle licensing system is somewhat lopsided, disjointed and anachronistic. In fact, other analysts have even argued further that the current rates for vehicle licenses are not commensurate with present economic realities and as such, there might be a need for increase or the government could simply introduce a road usage tax as is obtainable in other climes. Whichever way the pendulum swings, the government has got to be creative and tackle this in a way that is just and equitable. It goes without saying that improvements to transport systems can enhance economic growth via cost reduction and increasing the reliability of movement for goods and people, thereby increasing productivity. Better transport systems have also helped to expand access to new markets for goods and services. Therefore, there is urgent need for the state government to prioritize and reinvest in this critical driver of future economic growth and competitiveness while citizens must play their roles in a law-abiding manner to create a win-win for Lagos state and allow the state remain the exemplar and shining beacon that it is for years to come. Indeed and in truth, our roads will be whole again. Folakunle Adeagbo is a Lagos based resident and a young professional who works in the creative industry. Tags: Folakunle AdeagboGovernor Akinwunmi AmbodeLagos roadsLagos taxLagos traffic e-NIGERIA!Tax in Lagos State e-NIGERIA!